A new research project from the Department of Philosophy at the University of Warwick will crowdsource philosophical thinking about current political and social crises. Each month, the Philosophy in a Time of Crisis website will host a dialogue on one of the key problems and challenges faced by Europe, inviting short contributions and interviews from leading philosophers, artists, writers and intellectuals. Contributions from the Warwick student community and the public at large are also welcome. 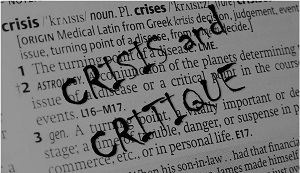 This month the website is focusing on the concept of 'crisis and critique'. Future themes will include Borders, Security, and Precariousness. Future plans for the project include a monthly newsletter, a series of workshops, the first of which will be held at the LSE in London on 21 May 2018, and a conference to be held on 14-15 June 2018 in Paris at the école normale supérieure. A programme of evening roundtables, exhibitions and screenings, all due to take place at the Entrepôt in Paris on 14 and 15 June, will be released shortly. The conference, Thinking borders Today/Penser les frontières aujourd’hui will feature systematic reflections by scholars on the topic of borders, as well as contributions from artists and filmmakers.